SE COMUNICA A TODOS LOS SOCIOS DE ABIJA QUE LAS PROXIMAS ACTIVIDADES PROGRAMADAS PARA LOS MESES DE JUNIO Y JULIO TENDRAN LUGAR EN LA PRIMERA PLANTA DEL CENTRO DE SALUD "VIRGEN DE LA CAPILLA" SITO EN LA CALLE ARQUITECTO BERGES,Nº10,MANTENIENDO EL MISMO HORARIO DE 6 A 8 DE LA TARDE. 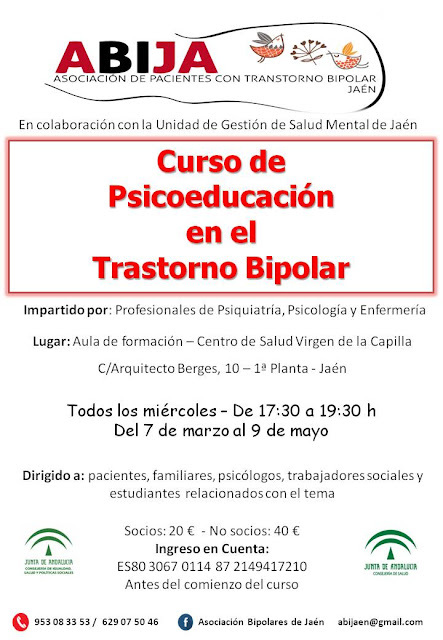 COMO RECORDATORIO RESALTAMOS PRINCIPALMENTE LA REUNION EXTRAORDINARIA ANUAL DEL 21 DE JUNIO, ASÍ COMO LA CHARLA COLOQUIO DEL 5 DE JULIO SOBRE EL TEMA "PREVENCION DE RECAIDAS" IMPARTIDA POR D. JUAN CONTRERAS SANCHEZ ESPECIALISTA EN SALUD MENTAL. 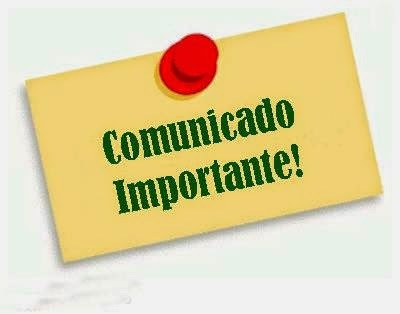 ANTE CUALQUIER DUDA PODEIS COMUNICAROS POR TELEFONO CON LA PRESIDENTA FRANCISCA MOLINA.